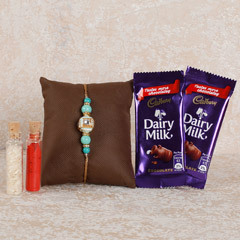 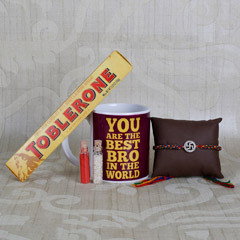 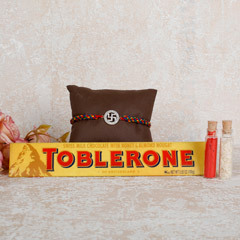 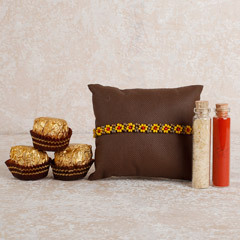 This Raksha Bandhan, stupefy your adoring brother with the speedy delivery of rakhi with chocolates combo. 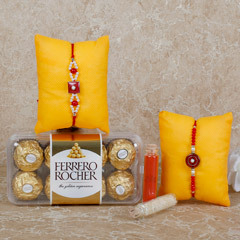 Such a combo of sweet treats and blessings in the form of a sacred Rakhi thread is surely going to be loved by him very much. 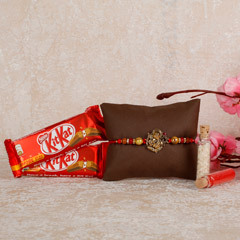 You can browse below to find some amazing rakhi with chocolates online for Rakhi gifts delivery in UAE. 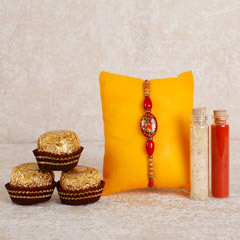 Raksha Bandhan is a pious occasion that falls on the day of the full moon in the Shravan month. 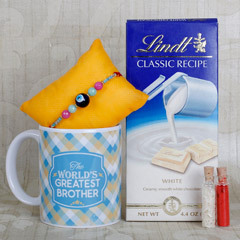 This day is dedicated to the brother-sister bond that is considered to be one of its kinds. 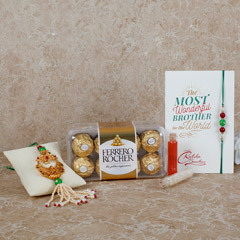 On this day, the siblings express their love for each other through exchanging gifts and promising to care for each other. 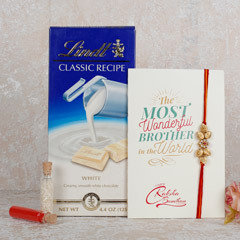 If you have a brother from whom you reside miles away, then with the assistance of online gifting portals you can send Rakhi with chocolates and break the problem of distance. 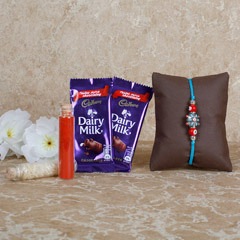 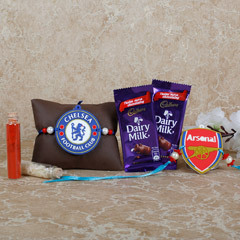 Looking for a website that provides the facility of Rakhi and Chocolate delivery in Dubai or any other city in UAE? 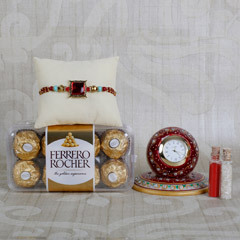 Flower Delivery UAE is the final stop for you. 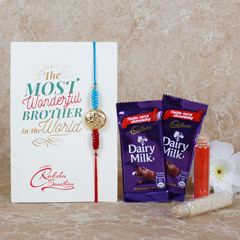 The website is filled with lots of options in the rakhi and chocolate combo out of which you can search the one that you like the most and send it to your brother. 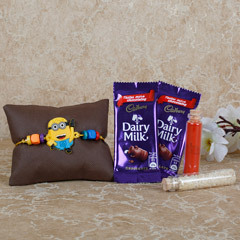 Our range includes various delicious chocolates such as Toblerone, Ferrero Rocher, Dairy Milk, Kit Kat, Lindt chocolate, and many more. 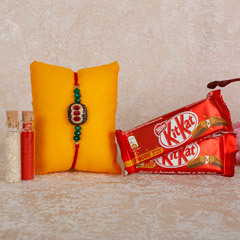 These are clubbed with our special rakhis such as designer rakhis, kid’s rakhis, lumbai rakhi, silver rakhis, and many other options. 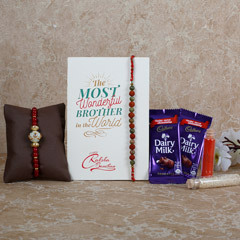 Along with delivering Rakhi with chocolate to UAE, you can also send Rakhi with cakes to your brother.